The City of Toronto is seeking a court injunction to ban Uber Canada, a division of on-demand taxi giant Uber, from operating within the city limits. The injunction purports that Uber “pose[s] a serious risk to the public, including those who are signing on as drivers,” indicating that there is “increased risk to passenger safety” and “inadequate insurance” for drivers. The city has been concerned with Uber’s operations since it launched in 2012, as Uber operates on top of existing taxi companies’ licenses. Hailo, a competitor that recently left the North American market to focus on Europe and Asia, was a registered taxi company with its own fleet. Uber has been criticized for its questionable business tactics in recent months. Its Senior Vice President, Emil Michael, was reported saying Uber should spend money to “dig up dirt” on journalists that outwardly criticize the company. While Uber’s CEO has denounced the off-the-record comments, the company is well-known for its flagrancies, reportedly ordering and then cancelling over 5,500 Lyft rides throughout the US. UberX, which recently launched in Toronto, has also come under fire by Canada’s taxi companies, recently consolidated under a consortium called Taxi Truths. 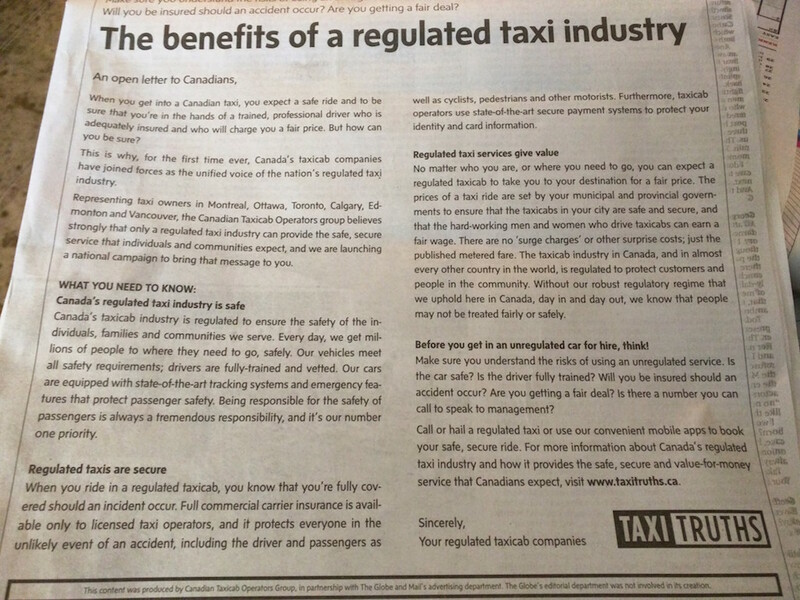 The group highlights the increased safety of regulated taxis and points to the fact that UberX drivers are not insured under the same protections as your average yellow cab, leaving passengers with less recourse should they be in an accident. The full text of the City of Toronto’s court action is below. 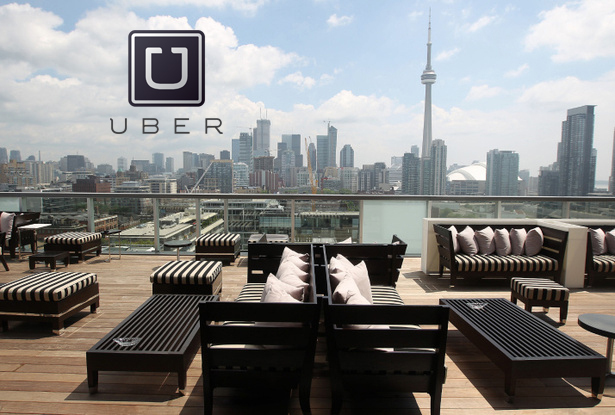 “Today, the City of Toronto filed a notice of application seeking a court injunction against Uber Canada Inc., and related companies Uber B.V. and Raiser Operations B.V., that provide the services UberTaxi, UberBlack, UberSUV, UberX and UberXL. The injunction requests that all Uber operations in Toronto cease. • increased safety risk to the drivers due to lack of training and vehicle security equipment, normally governed by City bylaws.